$385.078 thousand on 5 screens. 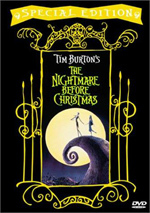 Tim Burton first dabbled in the world of feature animation as the producer of 1993’s The Nightmare Before Christmas. That flick didn’t make much of an impact at first, but it developed a nice following over the years and has turned into a real cult classic. Perhaps the same will occur for his 2005 animated release, Tim Burton’s Corpse Bride, but it fared about the same as Nightmare during its theatrical run. Actually, adjusting for inflation, Nightmare was a bit more successful. 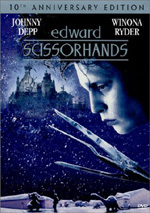 It made $50 million in 1993, while Corpse earned $53 in 2005. That’s not terrible, but it means that the movie can hope for cult classic status at best. Corpse sets up an arranged wedding between Victor Van Dort (voiced by Johnny Depp) and Victoria Everglot (Emily Watson). Victor’s parents (Paul Whitehouse and Tracey Ullman) entered the ranks of the nouveau riche due to a fish fortune but they crave status in society. Victoria’s parents (Albert Finney and Joanna Lumley) belong to the aristocratic class, but they lack money. Thus the families arrange to unite and make everyone happy – except perhaps Victor and Victoria, two would-be lovers who’ve never met. Happily for them, when they do get together, they fall for each other immediately. Unhappily for them, Victor becomes so rattled during the wedding rehearsal that he can’t spit out his vows. When he wanders into the woods to practice, he succeeds – and inadvertently commits himself to Emily (Helena Bonham Carter), the Corpse Bride. Her betrothed killed her and took her jewels; that left her in a perpetual state of desired matrimony, and she clings to her new husband. This sets up the movie’s conflicts. Victor and Victoria want to get together but Emily refuses to let Victor go, and Victoria’s parents try to stick her with snooty Lord Barkis Bittern (Richard E. Grant) instead. The flick follows these issues as it works toward its conclusion. When I saw Nightmare Before Christmas theatrically, it left me a bit cold. I warmed up to it over the years, however, and came to view it as clever and enjoyable. Perhaps the same will occur with additional screenings of Corpse, but right now I see it as visually impressive but otherwise fairly lackluster. Like Christmas, Corpse uses stop-motion animation. Unlike Christas - and pretty much any other film that uses the same techniques – it boasts a fluidity and smoothness that make it absolutely remarkable to watch. Don’t get me wrong - Christmas offered great animation. However, the visuals of Corpse seem truly stunning and feature a detail and precision I’ve never seen. Unfortunately, the movie comes without a story or characters to bring life to the animation. This is truly a case of a film that’s lovely to behold but that doesn’t have a lot happening below the surface. It presents a mildly engaging tale, but even at a mere 77 minutes, it feels a bit padded. That’s a shame, as the subject matter opens itself up to a lot of ingenuity. Some of this translates on the screen, especially when we enter the Land of the Dead. A few of Danny Elfman’s musical numbers demonstrate creativity and spark, but the rest of the time, the material tends to fall flat. A lot of that stems from the dull nature of the characters. The three leads lack even the most rudimentary personalities. Why do we like them? Because we’re supposed to, I guess. Even though I finished watching the film mere minutes ago, I barely remember anything to distinguish Victor, Emily or Victoria. They’re bland personalities who do little to intrigue us. The secondary roles aren’t that much better. The various dead characters don’t get enough screentime to impress us, though they’re fun in the small doses we find. The living roles are also half-developed at best. Add to that an uninspired story and you run into problems. I can’t complain about the basic premise, as a tale about a human married to a corpse boasts all sorts of intriguing potential. As depicted here, however, it meanders and doesn’t do much to capitalize on its strengths. Maybe I just expected too much from The Corpse Bride, but I don’t think that’s the case. I wanted some entertainment with interesting characters and a decent plot – is that asking too much these days? I really liked the movie’s visuals, but on their own, they can’t carry an otherwise fairly dull flick. 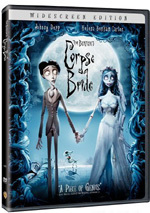 Tim Burton’s Corpse Bride appears in an aspect ratio of approximately 1.85:1 on this single-sided, double-layered DVD; the image has been enhanced for 16X9 televisions. From start to finish, this was an excellent transfer. At no point did sharpness falter. The movie always presented crisp, concise visuals, and I discerned nary a hint of softness. No issues with jagged edges or shimmering appeared, and I saw no signs of edge enhancement either. Print flaws weren’t a problem as the movie lacked any specks, marks or other defects. It looked wonderfully clean and fresh. The colors of Corpse varied depending where the action occurred. The Land of the Living was relentlessly monochromatic; it featured a light blue tint and that was it. On the other hand, the Land of the Dead was much more dynamic. It went with somewhat sickly greens, blues and other tones, but they seemed quite vivid and snappy. The colors were always depicted accurately, and blacks also seemed deep and firm. Shadows demonstrated fine depth and clarity. This was a fantastic visual presentation that strongly impressed me. While not quite as strong, the Dolby Digital 5.1 soundtrack of Tim Burton’s Corpse Bride also worked well. Because the movie didn’t feature a lot of slam-bang action, I didn’t expect a lively soundfield. However, the five speakers filled out the room well and added a lot to the package. Danny Elfman’s score and songs benefited from this treatment. They presented solid stereo imaging in the front and also meshed to the rears with good involvement. Some isolated dialogue came from the various speakers, and effects added a great sense of the surroundings. The elements cropped up in all the appropriate locations and formed a vivid feel throughout the flick. The smattering of more active sequences used the spectrum to great effect and worked very well. Audio quality was very satisfying. Speech seemed natural and crisp, with no edginess or issues connected to intelligibility. Music was bold and dynamic. The score and songs presented nice oomph and showed great clarity. Effects were similarly well-defined. Those elements sounded accurate and vivid at all times. This was a fine soundtrack that added a lot to the film. Heading to the DVD’s extras, we find a whole mess of featurettes. Rather than look at each individually, I’ll treat the package as one long documentary and discuss it as a set. We get Inside the Two Worlds (four minutes, two seconds), Danny Elfman Interprets the Two Worlds (4:55), The Animators: The Breath of Life (6:35), Tim Burton: Dark Vs. Light (3:35), Voices from the Underworld (5:55), Making Puppets Tick (6:30), and The Voices Behind the Voice (7:30). These offer movie clips, behind the scenes elements, and interviews. We hear from directors Tim Burton and Mike Johnson, screenwriter/lyricist John August, character designer Carlos Grangel, art director Nelson Lowry, puppet makers Peter Saunders and Ian MacKinnon, producer Allison Abbate, composer Danny Elfman, director of photography/VFX superviso Pete Kozachik, animator Phil Dale, MoCo supervisor Andy Bowman, set construction production manager Jon Minchin, lead model rigger Andy Gent, animation supervisor Anthony Scott, puppet fabrication supervisor Graham G. Maiden, and actors Emily Watson, Johnny Depp, Christopher Lee, Albert Finney, Joanna Lumley, Tracey Ullman, Jane Horrocks, and Helena Bonham Carter. The programs look into the design of the Land of the Dead and the Land of the Living, the score and songs, the stop-motion animation and its complications related to photography, and Burton’s interest in the story and stop-motion as well as his influence over the production. We also learn about cast, characters, and performances, designing the characters and constructing the puppets. “Voices” lets us see movie clips accompanied by shots of the actors as they perform the lines. Because it can make matters disjointed, I can’t claim to care for this multiple-featurette format. Despite that, I really dig the material presented in this collection. We learn a ton about the production, with a lot of great details about the puppets and the animation. I also very much care for the aspects devoted to the actors; “Voices” is a clever idea that should appear on more DVDs for animated flicks. Not too much banal happy talk shows up in these tight and informative featurettes. Next we get a collection of Pre-Production Galleries. This provides a filmed collection of elements instead of the usual stills. That becomes necessary since we find lots of animations tests here; it’s not a simple amalgamation of drawings. Indeed, the vast majority of it depicts test footage. It also presents some storyboard/film comparisons and other bits. We get a very nice look at the different elements in this fun and educational 13-minute and 25-second reel. Fans of film scores will enjoy the Music-Only Track. This presents Danny Elfman’s score in its unaltered Dolby Digital 5.1 glory. Although I don’t get a lot from this kind of feature, I think it’s a great addition because it will clearly please fans of movie music. One potential negative: this really is a “music-only” track – it omits the singing for the songs. Since these can be heard on the CD soundtrack, I think it’s neat to hear them without vocals, but I can understand if this decision disappoints some. 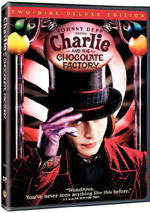 Charlie and the Chocolate Factory. We also find the trailer for Bride. Maybe I’ll eventually warm up to Tim Burton’s Corpse Bride, but I must admit it leaves me cold after one screening. The movie boasts fine production values and spots of cleverness, but it lacks enough spirit and warmth to make it truly engaging. The DVD offers excellent picture and audio, and though the roster of extras isn’t enormous, the included materials are quite good. Fans will embrace this solid DVD. Others should probably give it a rental to see if it’s to their liking; I wouldn’t advocate a “blind buy” of this one.